Elixir and Erlang events in 2019. The list of conferences. It’s about 13 days left until 2019! Have you already planned your calendar for some great Elixir/Ergalg conferences? 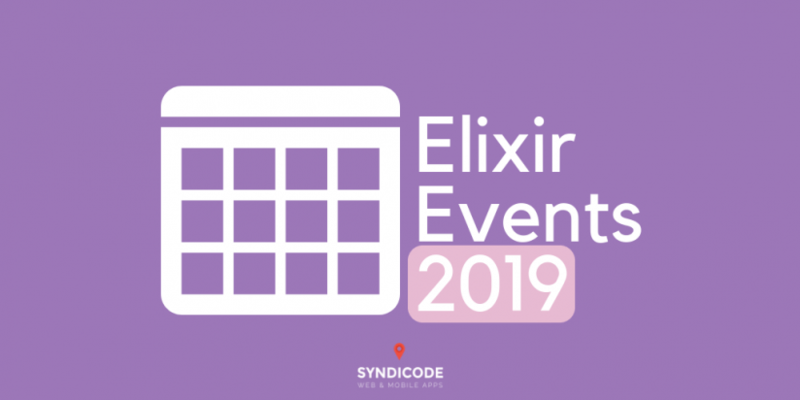 Here we’ll give you the selection of the most interesting Elixir and Erlang events in 2019 you shouldn’t miss! Visit as many as you can to improve your skills and find more cool programmers to follow up. If we missed any Elixir and Erlang event, let us know! We will update this list in future. We know there are many developers switched to Elixir from Ruby. And here’s the interesting opinion about Elixir from a Rubyist’s perspective. Elixir and Rails have many things in common, so you might be also interested in the list of Rails conferences to visit in 2019! Subscribe to Syndicode newsletter to get all the interesting news right to your mailbox!